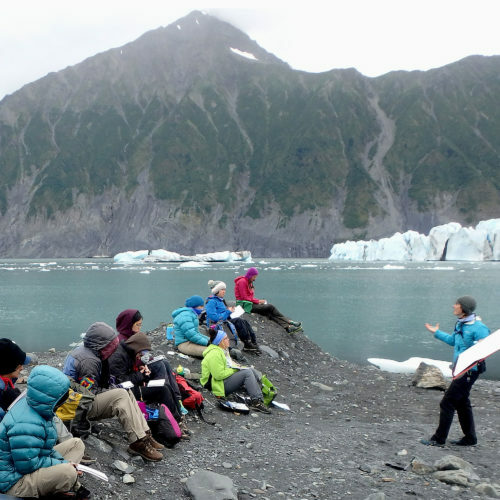 My late summer and fall was a whirlwind of adventure and teaching, the highlight of which was helping instruct the Girls in Icy Fjords Inspiring Girls Expedition. 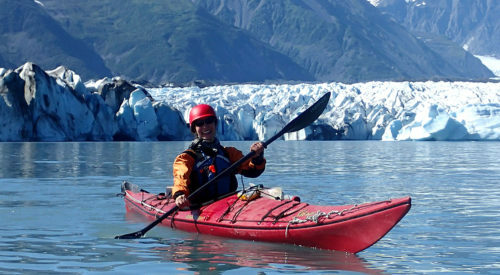 For this unique tuition-free program, we guided nine high school girls on a wilderness kayak expedition to explore Alaska’s Kenai Fjords with a focus science and art. Our participants ranged from across the country, as well as one from rural India. 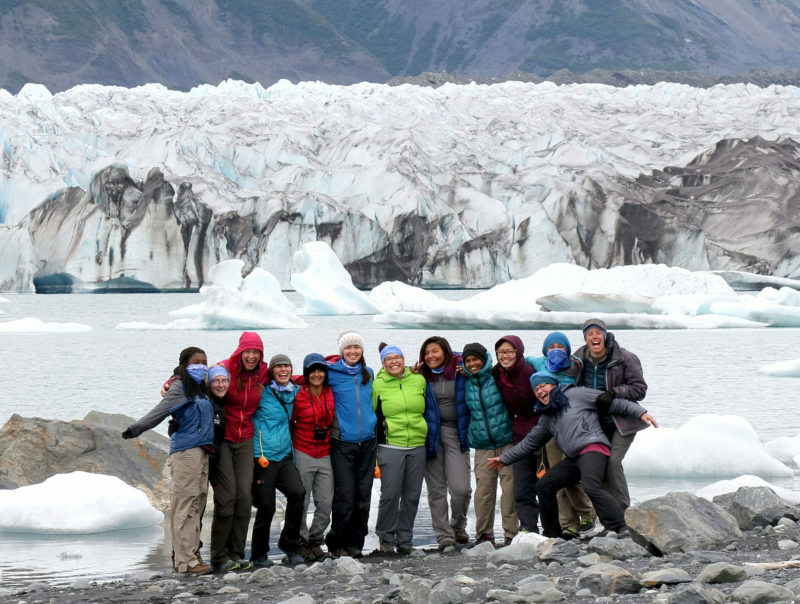 Girls in Icy Fjords was founded by chemical oceanographer Claudine Hauri and modeled after the wonderful Girls on Ice program founded by scientist Erin Pettit (read about my Girls on Ice experiences in 2008 and 2013). 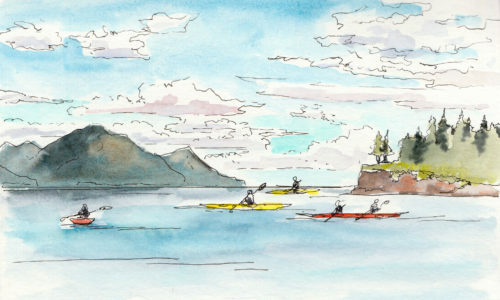 I had the pleasure of co-instructing with Claudine, Erin, and kayaker and naturalist Kim McNett. My favorite classroom is outdoors, especially when it includes ice. 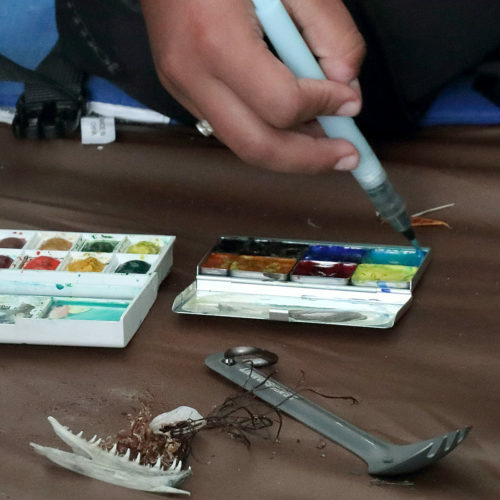 As an instructor, I shared my favorite field sketching tools and techniques and encouraged the girls to incorporate art into their explorations. I put together watercolor sets for the team and everyone dove in, even throughout rainy weather. 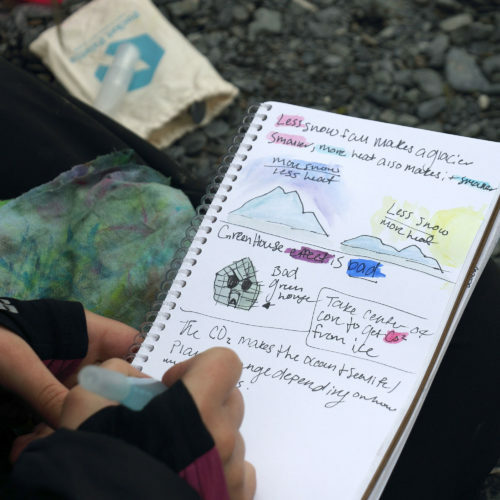 The process of sketching and journaling hones observation skills and memory. I loved seeing the environment through everyone’s different perspectives, from focusing on the big picture to small details and studying science. While in the field I enjoyed creating my own work as well. 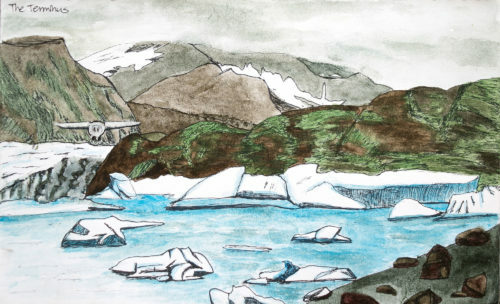 I used a Stillman and Birn Beta softcover sketchbook in the 8.5″ x 5.5″ size. 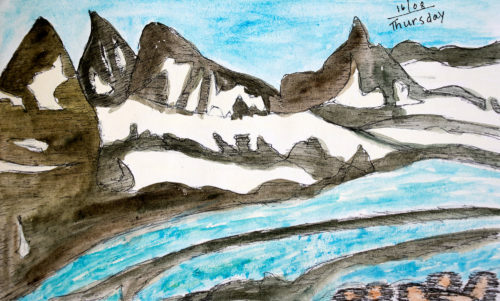 The paper is bright white and works beautifully with ink and watercolor. 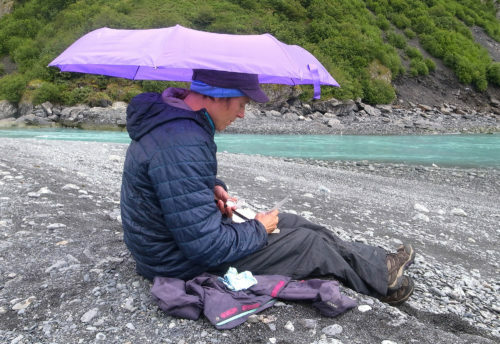 You can read more about the girls’ experience in this recent article, and I invite you to consider supporting Inspiring Girls Expeditions. All programs are made possible by donations, grants and volunteers and create life-changing experiences for girls. Applications will also open this December for 2018 teams. Thank you to everyone who helped make our 2017 expedition possible! Love your education with the children. I taught art for 27 yrs. enjoyed taking the students outside to sketch and paint! I think I learned as much from them as they did from me. Your art supples are great! Thank you! I agree, part of my joy in teaching others to use art in their explorations is to see the world through their eyes. I agree. As a teacher and creator of a science, math, art curriculum, I frequently took the kids in my class outdoors for educational experiences. We were all rewarded and enriched by these nature trips. Maria, you are so cool. I enjoyed reading about this wonderful opportunity for girls. What a beautiful way to grow self-reliance and confidence and an appreciation for Mother Nature, art, and friends.